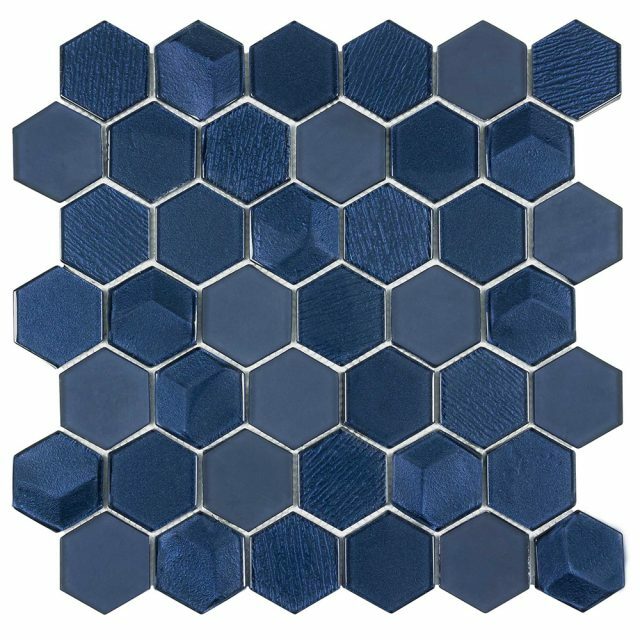 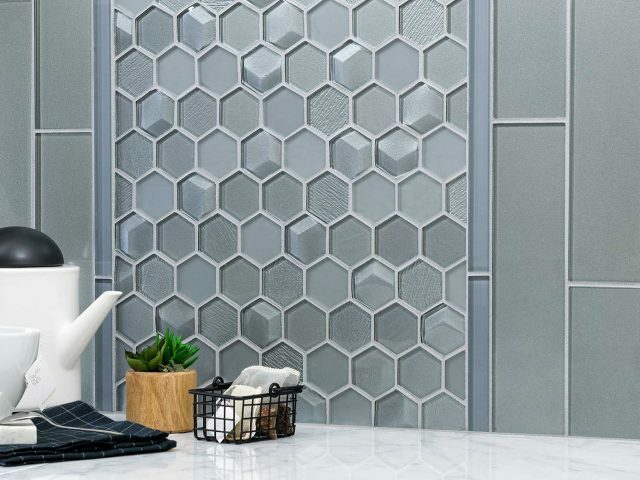 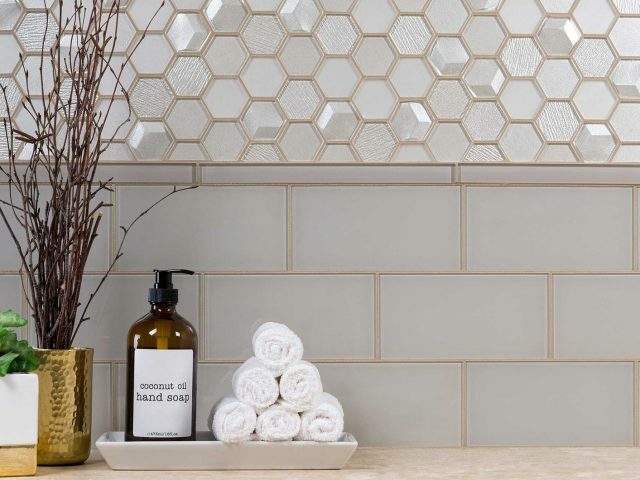 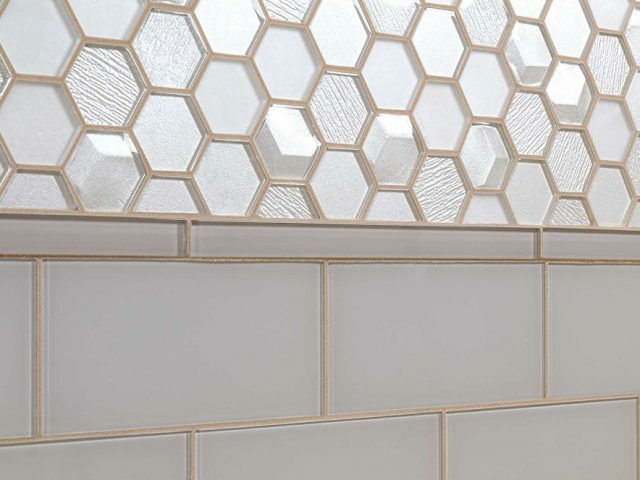 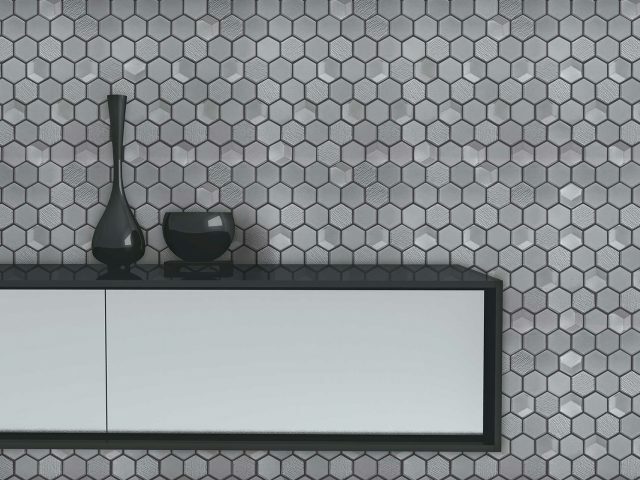 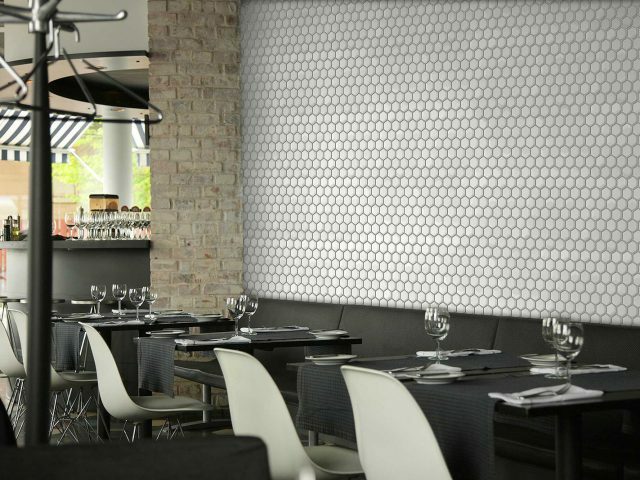 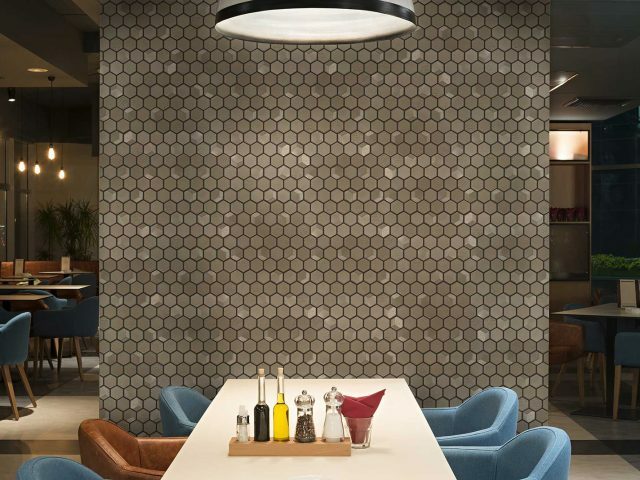 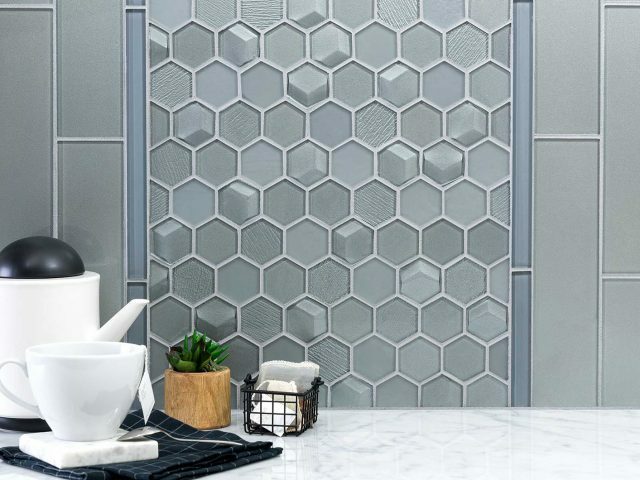 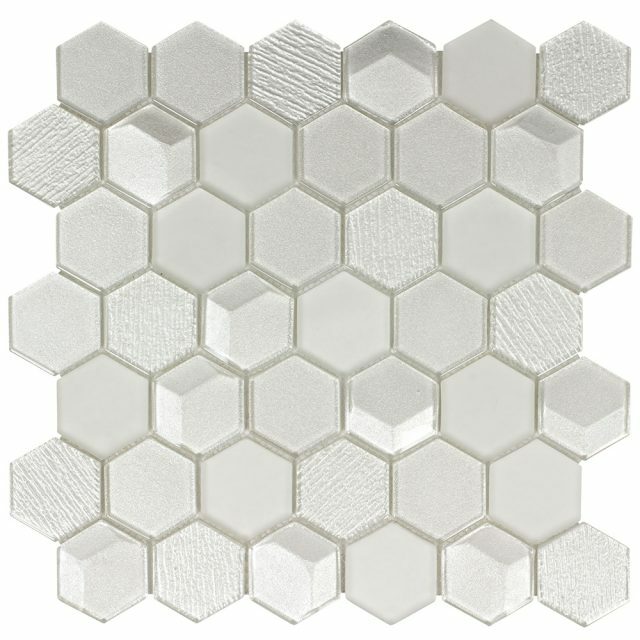 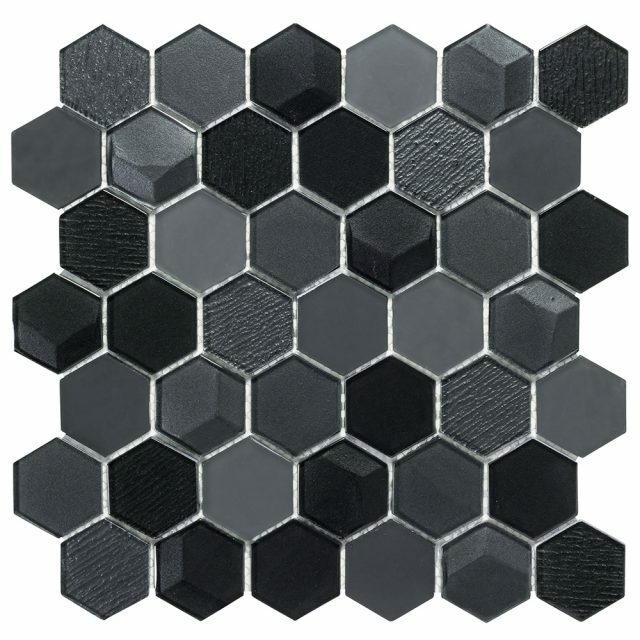 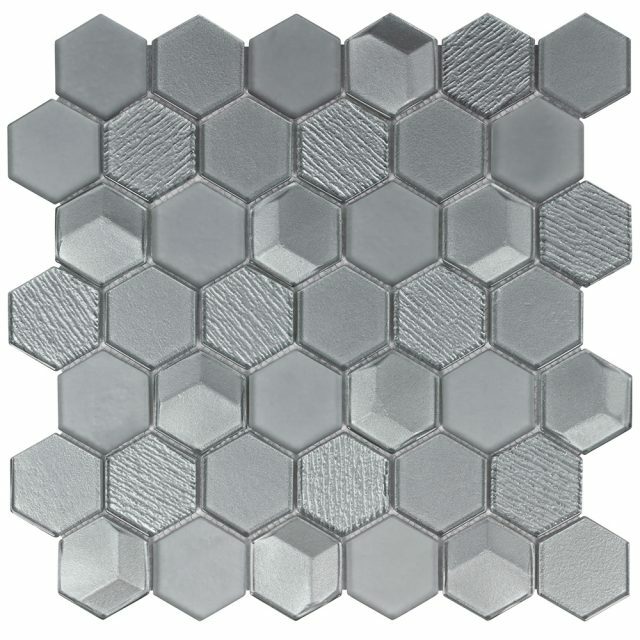 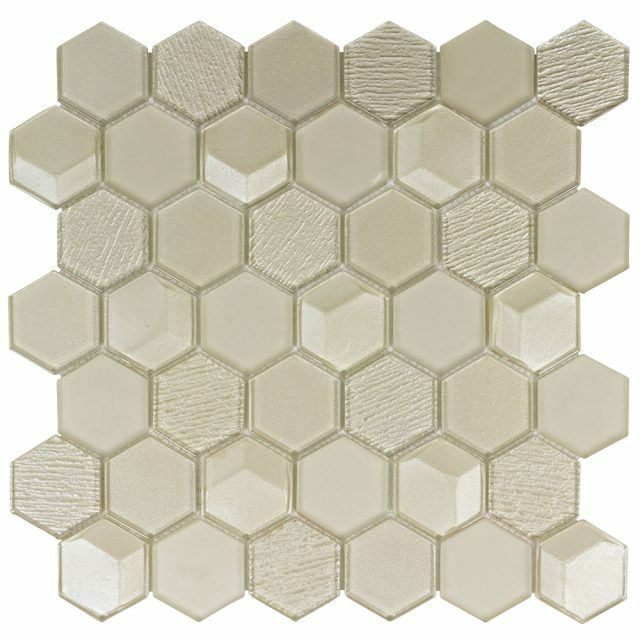 Outlast hexagon mosaic captures a mix of dimensions including contrasting finishes and textures: matte clear and raised glass, plus striated and beveled back textures. 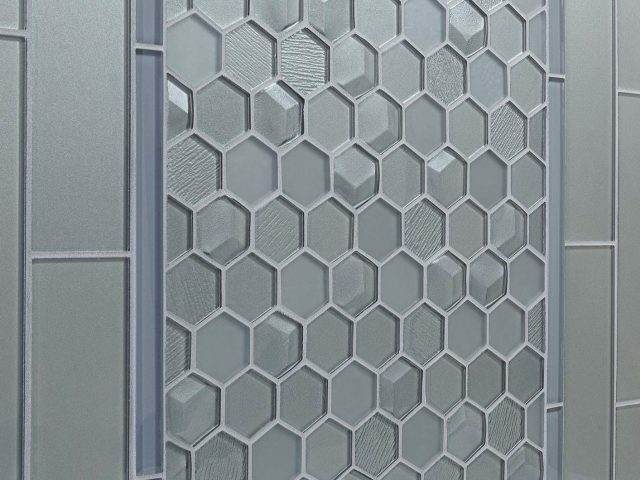 The light bounces off the facets in the line and the contrasting finishes and textures of the hex, taking glass tile to the next level. 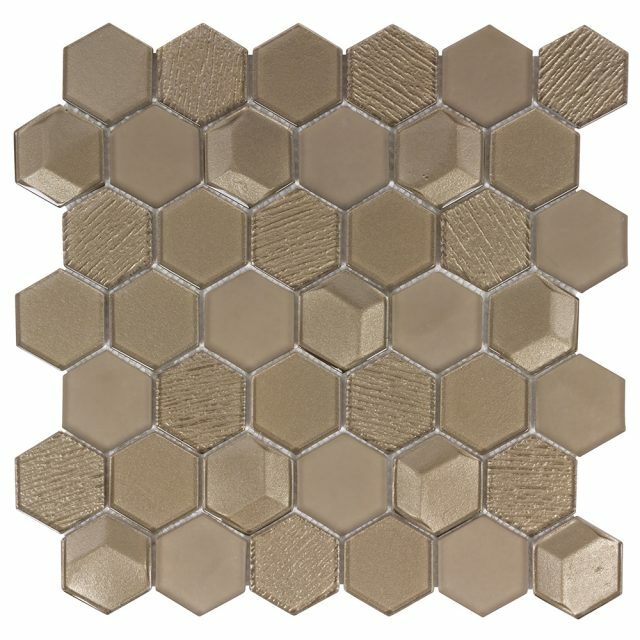 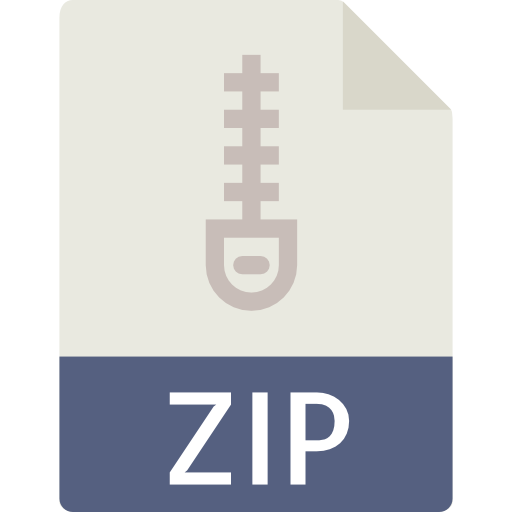 42 pieces of 2"x2" on a mesh-mounted sheet.